Welche Perspektiven bieten Virtual Reality Formate für Journalismus und Dokumentation? How does VR influence our future actions and what role can artists and international cooperation play? 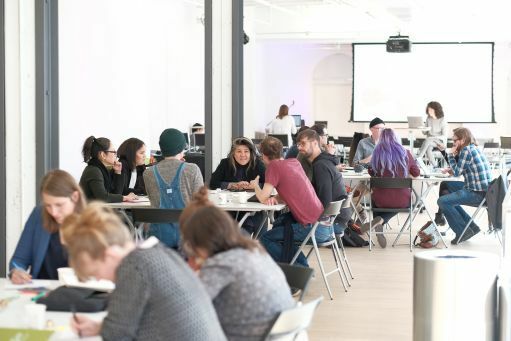 The exchange project VR: RV offered 25 German and Canadian artists, scientists, producers and media consultants the opportunity to find ideas for joint international projects and to discuss current issues arising in connection with immersive technologies. Virtual Reality offers new dimensions to documentaries and journalism: users put on VR-goggles and dive directly into a deep ocean, walk through virtual museums or enter areas which they would otherwise not have access to. 360° videos offer the opportunity to look around in refugee camps and to experience deep-sea drilling from a whale’s perspective. The virtual experience complements photographic documentation with sound effects and a panoramic view that lets the user take part in the action. It’s up to the user whether they turn their attention to the victim of an attack or follow the reactions of pedestrians passing by. Immersive technologies allow for a more authentic documentary than traditional media formats. But what happens if technology falls into the wrong hands? Who is responsible for personal rights if the user comes arbitrarily close to other people in the film? Who influences legal frameworks that prevents misuse of the medium? 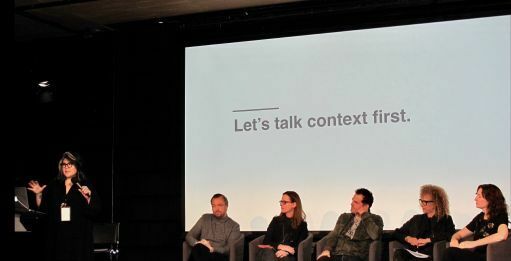 These were the issues the experts on the VR:RV panels faced during the event in Montreal, where they took the opportunity to contribute their statements on the development of virtual reality. How do we deal with interpersonal distance in VR films? Sandra Rodriguez, a documentary filmmaker, explains that it is especially important that the subjects of the VR film invite others in to their life. “It’s not about zooming in on a child in a refugee camp. It’s about the kid who wants to show their reality by sharing his or her perspective”, she explains. To ensure that VR experiences are not misinterpreted, the consultation of professionals is necessary, especially when filmmakers deal with difficult psychological topics. Which power structures are evolving and where do artists come in? Annina Zwettler, currently working for the German-French broadcaster Arte, comments on the development of VR: “VR replaces and enhances socially, mentally and physically. It has an impact on our brain, feelings and emotions – the same things we use for beautiful art projects can be used for manipulation”. This comment raises the question of which role artists play in the commercialization of the medium. “Artists have no influence in the development of technology. Instead we should concentrate on the stories we tell”, comments Ana Serrano, Chief Digital Officer of CFC Media-Labs in Montreal. Artists’ responsibility in the distribution and use of technology remains a pending issue. 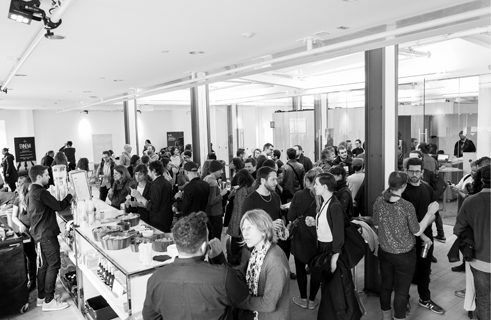 After the conference is before the conference - Participants take a break at MUTEK_IMG | © Mutek/Bruno des Tombes At the moment, companies like Google and Facebook dominate the VR market. None of the panelists can predict how these power structures will evolve. However, they agree on one issue: power structures must be defined in a democratic manner and discussions about VR on a global level are absolutely necessary, preferably in form of a Global VR Summit. Louis-Richard Tremblay, producer at Radio Canada and ONF, also calls for historians to get involved in the discussions. "Key learnings from the past should be incorporated" he says, referring to shortcomings in dealing with Big Data. Furthermore a democratization of the medium is only possible if access is budget-independent. "There should be more places like the Phi Center to further democratize access to the medium," says Myriam Achard, Director of Public Relations and Communications of the Phi Center in Montreal, in an appeal to the public. Moreover, the global democratization of technology requires international exchange. "We have to deal with the perception of VR in different countries and find out what this technology means for other societies on this planet," argues Annina Zwettler, opening up a new topic for future discussions. Put yourself in a room. You control the music in this room with your brain and you get the feedback that you can control the music with your mind. Documentary photographer Liam Maloney laments that because of the flood of images of conflict areas, our society has become desensitized. In order to reach individuals’ emotions again, he wants to use animated pictures, light and sound effects in VR to tell the stories of people who are confronted with war and terror every day. The Deep | © Mutek/Bruno des Tombes Deep is a series about our quest for answers - is the slogan for the project that could be adapted by museums, scientific centers, aquariums and planetariums to transport people into the depths of the universe or the submarine world. Suddenly seismic shocks move through you, soon old sediments explode into a huge mushroom cloud, as the brightly lid juggernauts of a mining company dredge and grind everything to ashes. You know you've lost when you can't pierce the darkness | © Goethe-Institut/Lena Kessel The interdisciplinary exchange with sound and graphic artists from Germany and Canada inspired the participants to a cooperative video game in which the players have to find each other in a dark (VR) environment by using their sense of hearing and their tactile perception. The producers deliberately use sound and vibration technology to encourage the players to trust their senses. 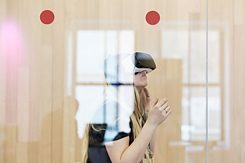 Meditation in VR | © Goethe-Institut/Lena Kessel Apart from video games, the workshop participants also aim to use VR as a medium for guided meditation. To remain anonymous, users should not face each other in their true physical form. Dots, shapes and abstract movements should be utilized instead to reflect the user’s feelings and to guide the meditation. The first meeting of the VR:RV exchange project in Montreal inspired the experts to create new ideas, promoted intercultural exchange and provided a platform to openly discuss German and Canadian perspectives in Virtual Reality with the public. The next events in Berlin and Montreal will reveal the development of these ideas and open up more issues for discussion amongst the participants. Lena Kessel studies International Cultural and Business Studies in Passau. As part of her internship at the Goethe-Institut Montreal, she met the VR experts on site and reported on the panel discussions and workshops. Copyright: Text: Goethe-Institut Montreal, Lena Kessel. This work is licensed under a Creative Commons Germany Attribution – NoDerivs 3.0 Germany license.